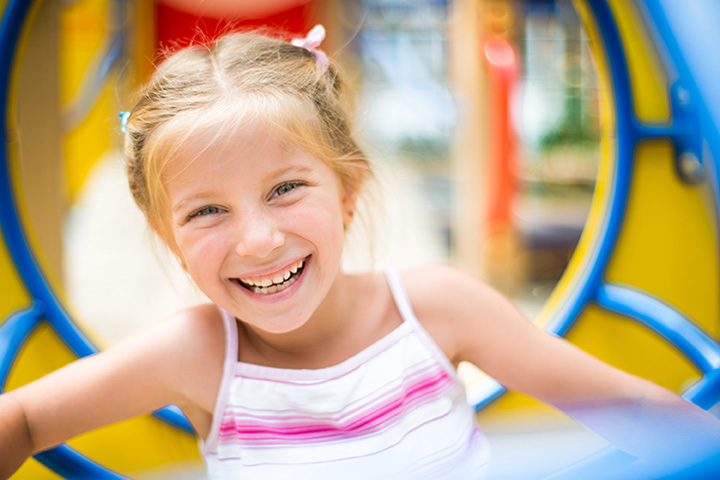 Children’s playgrounds were created in the late 1800s to give urban children a place to play. The playgrounds of yesteryear are nothing like what they are today, but they paved the way for modern play places not only in the metropolitan areas, but in smaller communities. Featuring everything from slides to full-on castles, here are some of the best playgrounds in Oklahoma! According to the website, this three-story wooden castle is the world’s largest community built outdoor playground. It took 12,000 volunteers to create the bridges, slides, swings, mazes and dinosaur dig that is designed to inspire the imagination of youngsters. The crown jewel of Acme Park is the children’s park, designed by local children. It was built in five days by 718 volunteers. The playground looks like a castle. There’s plenty of places for climbing, swinging and sliding. Make sure to catch the Centennial Train while you’re there. This indoor playground is a great place to go when it’s too hot outside to play. They offer open play sessions when kids have the run of the place. If you have kids with special needs, ask about the One-to-One Attendant Care and Respite & Break Time Care for support during play. This playground is the largest in Oklahoma City. The park overlooks Lake Overholser and celebrates the Mother Road. Climb to the top of Cyrus Avery Observation Tower. Bring your rollerblades to enjoy the skate court. In addition to the playground, you’ll find hiking trails and picnic tables. This state-of-the-art children’s playground is 13,000 square-feet of western-themed play. It’s made of wood and offers hours of fun. Make sure to plan to see the legendary “Outlaw Cave” while you’re in town. Veterans Park has some great slide options and lots of swings. Kids can climb for hours. Plus, with restrooms and picnic pavilions, the whole family will be comfortable. The casting pond is handicap accessible and the pond is well-stocked with fish. As part of the Gathering Place, this playground is a magical land that is designed for children at all development levels and different physical abilities. It includes play gardens, slides, towers, sand lots and water areas. It was built close to the shade trees to let children play even on the hottest days of summer. This complex has been recognized for the “Top Design in the State” by the Oklahoma Recreation Sports Society. It’s one of the best kids’ play centers in the state. Currently, it features splash pads, soccer, playgrounds, slides, big chair swings and much more. Bring a picnic to enjoy the pavilion, but don’t plan on cooking or grilling on the grounds. The Civilian Conservation Corps (CCC) built Wintersmith Park in the 1930s. Today, it’s listed on the National Register of Historic Places, but it has modern facilities that will appeal to the whole family. There’s a public pool, basketball, horseshoe, volleyball and softball courts, a lighted nature trail, picnic pavilions and a four-acre zoo with exotic animals. Plus, the Kiwanis run a small amusement park for kids. Meadowlake Park features activities for the whole family, including Fido. It has some great playground equipment, tennis courts, baseball diamonds and horseshoe courts, plus a dog park, a lake filled with fish and walking and biking trails. The best things? The train ride around the 110-acre park, the Ferris wheel, an authentic carousel and lots of kiddie rides at great prices.